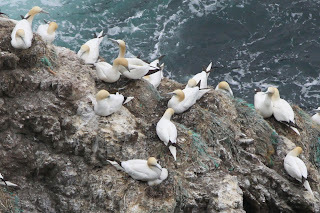 It’s full pelt with seabird work at the moment, although it is still panning out to be a poor year for productivity for several species. All the regular species are still present and the Puffins are still delighting visitors with regular evening close encounters on Buness whilst Kittiwake eggs were seen for the first time today. Census was largely quiet, with new migrants apparently restricted to a Pied Flycatcher and a Common Sandpiper, although the Subalpine Warbler lingered in the Obs garden, the male Hen Harrier and a Short-eared Owl were seen again and there were still 8 each of Snow Bunting and Whimbrel, whilst 2 Redwings included a singing bird at Barkland. 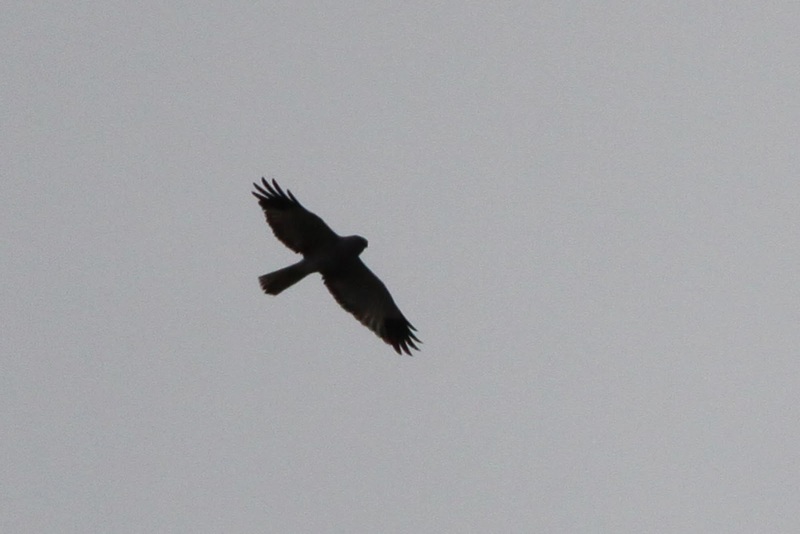 The Hen Harrier wasn't seen after 8.30am, when it was circling North over Gilsetter, so it may have left the island. However, whilst the Wardens were out looking at Gannets, Fulmars and Kittiwakes in the afternoon, ‘Team Bird’ struck again. Following Graham (currently our Domestic Volunteer) finding the Pallid Harrier two days ago, it was the turn of Bar Volunteer Tim to turn up the goody, when he saw a large looking warbler fly into the Schoolton garden. Will and I were the two drifters off to see the world, and were quickly after the same rainbow’s end, waiting (we hoped) round the bend. It was clearly not going to show in the dense undergrowth, but a quick pish from Tim saw it fly across the garden. A large looking unstreaked locustella, oh dream maker! But it dived straight into cover and out of sight without showing any of the diagnostic features. You heart breaker. However, we thought ‘wherever you’re going , I’m going your way’ and a couple of very brief views followed. Watching a small open area (definitely not wider than a mile), we were hoping it would be crossing you in style some day. And eventually it did, and Will was able to get a view of the diagnostic undertail covert pattern. Well done my huckleberry friend, a June River. The red flag was soon flying, various people arrived and, as I was explaining it was virtually impossible to see, it flew out of the dense roses, into the open chicken run, where it was momentarily confused by the fence and spent a few seconds showing off to everyone, before diving back into cover and vanishing again. River Warbler is becoming a real Fair Isle speciality, with this bringing the Fair Isle total to 17, with 7 of these occurring in the last 8 years. Richard nails his Collared at the Mast. No Stinting on the Good Birds.